It is hard to believe that with making and shipping this block, my year in Hive 2 of the Stash Bee has come to a close. This month, Helen @Midget Gem Quilts requested a courthouse step block incorporating selvages. Helen asks this month, “Speaking of mistakes, my question is when you make a mistake do you wing it and incorporate it or sigh, throw it away and start again?” It really depends on what I am doing and why, but I have to admit to a rather high perfectionist streak and tendency… so I am apt to seam rip and re-do just about anything. After deliberating, of course! As of today, two of our quilts have been completed. You can check out Caroline’s heart quilt finish and you probably well remember my recent Love Letters Quilt finish using the blocks I received when I was queen in June. Thanks so much to our hive mama, Caroline, and the wonderful ladies in my hive from this year. I had such a good experience that I have signed up and hope to be participating in 2016! Such fun bee blocks. Will you continue for another year? So much fun to look back at all of the blocks that you have made for the bee! They are all fabulous! Yvonne, I just want to applaud you on your commitments and great ability to finish. Each of the blocks that you have shown are really awesome blocks and will become excellent quilts! I also want to say Thank You for always taking the time to reply to comments and your encouragement; it is always a delight to receive your posts and then your replies. You are an excellent quilter and an excellent instructor which includes your encouragement. I am glad to have discovered your blog and learn fun and interesting ideas from you! Thank You and have a wonderful creative day! I love Helens choice of block – hard to believe the Stash bee year is nearly over! Great bee blocks. I really like the little unexpected addition the selvage gives the block. Doesn’t a year go fast! I like your block for Helen – very seasonal colours. How fun to see your year of stash bee blocks in one post. 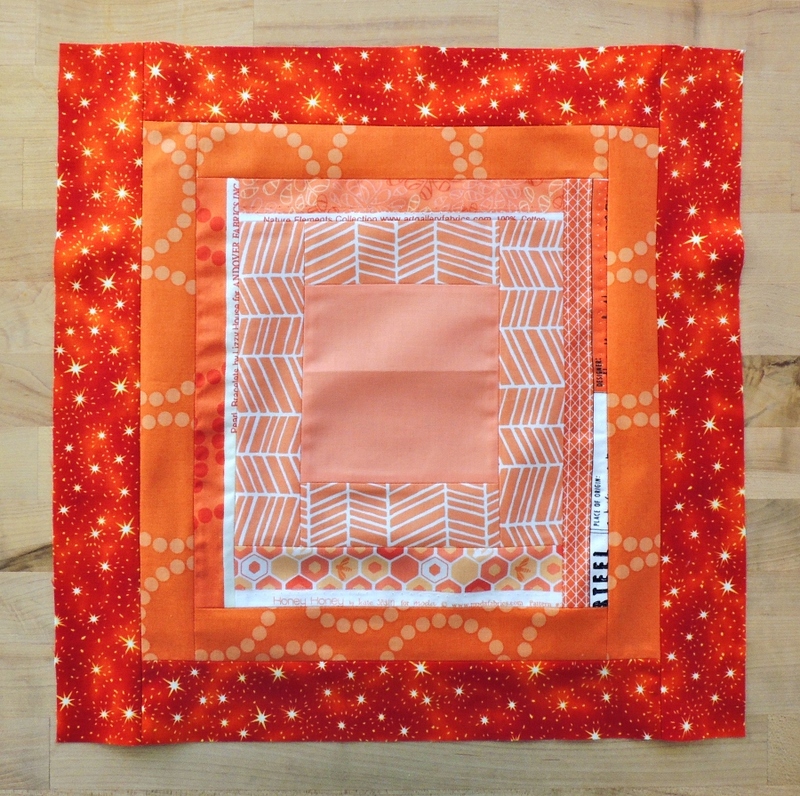 I signed up for next year’s stash bee and look forward to continuing to build my skills and meet other wonderful quilters (such as yourself) online. Those September stash bee blocks are so dang cute. You have a fabulous sense of color. Your block are all awesome! I’m similar with my mistakes! With something like a quilt which takes so much time, it always feels like it’s worth taking that extra bit of time to correct mistakes if it’s anything that will bother you into the future. And I like your subtle use of the selvages there. I’m a little sad that we’re at the end as well, but of course, looking ahead to new projects as well. Your hive has set some lovely bright blocks. I will not be joining in next year, but it has been fun. I had better make my November blocks this weekend. I have them cut out, at least.